I hope you are happy and settled in your new home .. .. it sounds like you had a mammoth task on your hands. We have been here nearly 26 years now and we have certainly accumulated more than we should have. We lost my MIL a few years ago now and brought back lots from her home. So now we need to be strong and part not only with our things but hers as well. It isn't easy is it! We would have to start sorting out about a year before we want to move LOL!! Anyway, lovely to see you blogging .. .. and with such a beautiful card. 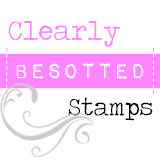 I have this stamp and once I see the bees in the garden it reminds me to ink it up again. Whoo! 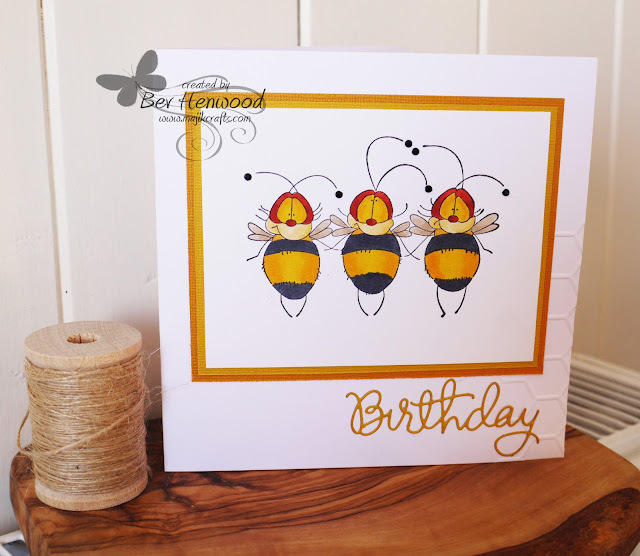 Happy to see your back Bev..
FABulous bee card! I LOve your colours and design. Sounds like you have a mammoth task on hand. Funny CAS card! Lovely image! Very cute card, love the bees and great design. We are in the process of doing the same thing ourselves. It is exhausting! I love the expression on these little bees. Love the colors and the bit of embossing is great. 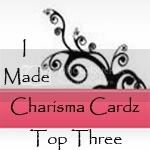 Thank you for joining us at Crafty Sentiments for our Something with Wings challenge. These silly bees just make me smile and I love the CAS design. I hear you about moving and sorting. We just moved after being in the same place for 30 years and it is so difficult. It's been three months for me and I just now feel like I can see the end.